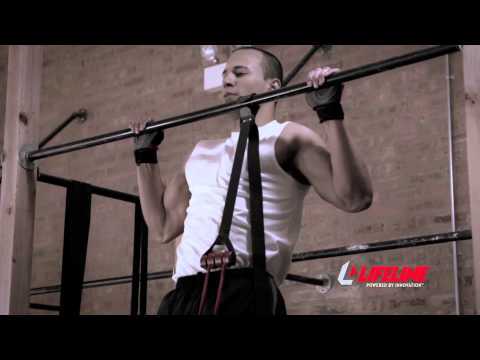 Unleash the potential of your pull-up bar with the Lifeline Pullup Revolution PRO, adjustable pull-up assistance system. 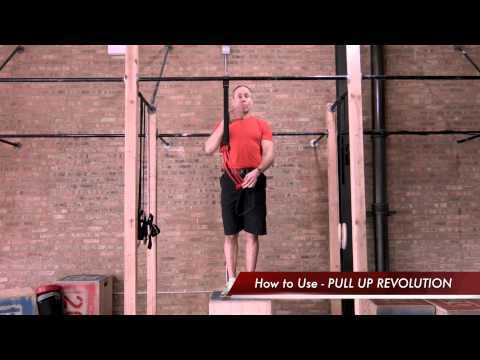 Improve arm, shoulders, and chest strength with assisted pull ups and chin ups. Build stabilizer muscles in abs and back with planks, pushups and knee ups! The Pullup Revolution PRO assists in pullup efficiency by allowing you to perform more, higher quality reps with proper form than before. You can do extra reps past muscle exhaustion to develop that V-shaped torso, broad shoulders, and narrow waist. Utilize the Cardio Belt to perform core & full body training exercises such as assisted pushups, planks and other on-floor movements. Attach to your waist to work on explosive lower body movements such as resisted jumps, sprints, side shuffle and others. The Pull-up Revolution PRO will take you from any starting fitness level to above and beyond the bar by opening up an entirely new level of bar exercises, allowing you to sculpt and strengthen more muscles than ever before. ADD OR SUBTRACT ASSISTANCE: Easily Add or Subtract secure cables from 1 to 3 cables to vary assistance by quickly unhooking cables. Lifeline patented 3-in-1 cable pocket design allows a user to simply add or subtract cables, thus altering the assistance level. Progressively get stronger and decrease the assistance over time. HEAVY DUTY BAR HOOK AND ADAPTER attaches easily to a pull up bar and ensures a secure connection. The hook also includes an integrated adjustable strap lock which allows fast strap height adjustment. The included Bar Adapter allows you to hook onto any diameter fixed/secure bar, allowing more anchoring options.